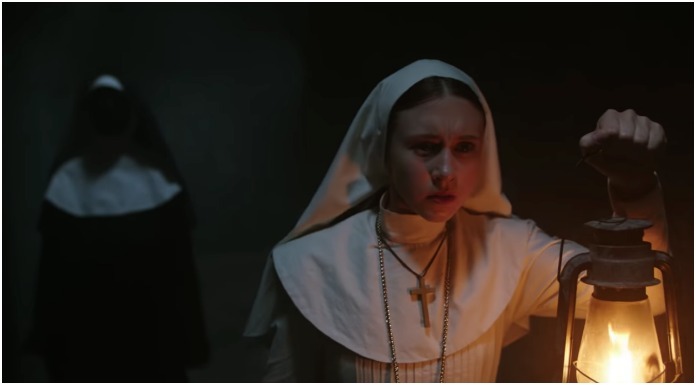 The Nun, a spinoff to the horrifying Conjuring franchise, has officially revealed the first trailer, and it has definitely lived up to the hype set by the other films in the series. 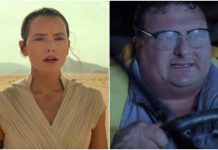 The spinoff, which is the second spin-off to come from the series, is set to star American Horror Story star Taissa Farmiga, who just so happens to be the younger sister of Vera Farmiga a.k.a. Lorraine Warren in the Conjuring series. The film is also set to star Demian Bichir, Jonas Bloquet, Charlotte Hope, Ingrid Bisu, and Bonnie Aarons. The Nun will have you “praying for forgiveness” when it hits theaters on Sept. 7! What did you think of this new chapter of the Conjuring franchise? Let us know in the comments below!